Here is a little background information on a few actresses who acted out scenes for the animators. Though this article was published many years ago, it is fun to see faces next to the drawings. 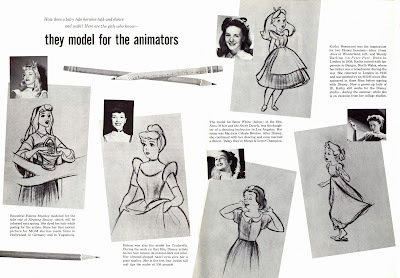 Everybody was cast perfectly for their individual roles, Kathryn Beaumont not only provided live action reference, but also voiced her characters beautifully.